These have been my favourite. 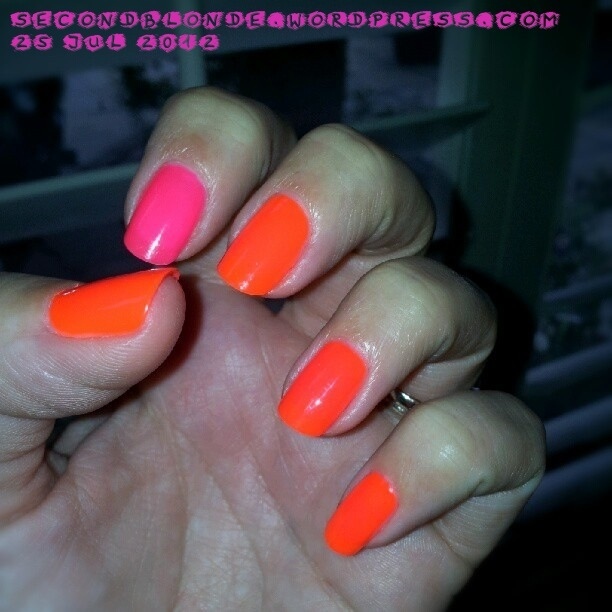 Neon orange and pink nails by Timea at Sophy Robson Nails in Hari’s Kings Road. They literally glow in the dark, I LOVE them! Painted so perfectly by Timea they stayed on my nails chip free for 9 days!